Latest Update: Final Image: TERA THE NEW MASTER OF EARTH! WHAT IS THAT? LOOKS WISDOM AND POWERFULL, AND VERY BIG. .THE ALLIENS IS PART OF OUR CONTACTS NOW, HOW DO YOU KNOW THEM ? this race came to our planet around 3000 b.c. years ago. THEY BEGUN TO LAND IN AFRICA, SOUTH AFRICA, with a great tribe called GNOMO who still exist in the highest mountains of Africa. They genesis told that they Gods who teach them every thing about the Earth and Cosmos, became on a big metal cruisers like a cube ship with signs on it, and landing on a big lake. They still have draws painting on animal skin and big stones, describing this history or genesis of their Gods. I made a trip to see that by my self. And I can continue telling you, YOU ARE A CONTACTED, A MEN TAKEN FROM THEM TO SHOW YOU HOW THEY BEN AND LIVED. .ARE YOU INTERESTING ON IT? I FELLOW YOUR STEPS VERY CLOSE WITH AMAZED EYES. Nice nice, lots of good textures to work with. I hope we’ll see more soon! Hi, it’s going to be interesting to see what you going to come up with. Good luck to you. All your entries are Fantastic! Totally love them all! Each 1, has your style and unique approach to the theme! You guys are AWESOME! Hey Axel, cool start my friend Your concept sounds really cool and cant wait for more updates!! ( y más chelas :D) Keep it going !! Cheers !! -Getting in touch or contact with a higher and more advanced species in the galaxy. 2-She will be in contact with the master of the elements. Since I really like that topic about balance, and harmony, witch I am sure its a 1sth rule in this universe or any other! And they will explain to her; shes (or they, if theres a boy) are the masters of Earth! Not only literal but also in the way the energy of our planet rules best this principle! Such as our body and our necessity to materialize all our thoughts! Were other elements doesnt have any of this necessities! So this means there will be 3 or 4 Alien masters if I include Ether or Light! Witch is the result of all 4 combine! .they will do a trip in their ship and show their dimensional world. 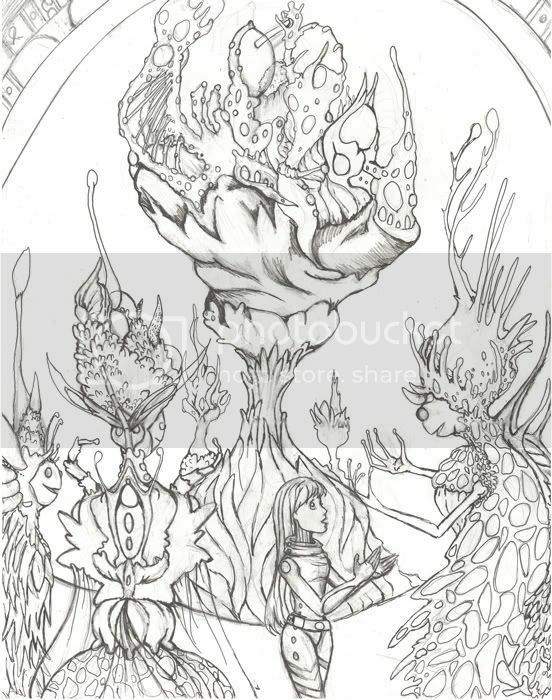 and another idea I had were they look more close to the Fungus anatomy, since they grow in so many shapes and colors, they are in the classical window view, I am not happy with the camera yet, but if thers more to do that will happen this week period, hope to hear from you? And THANKS SO MUCH for all the feedback and comments about anything you guys disagree or agree with the theme! a better close resolution of the skecth!I know her arms are huge! haha! 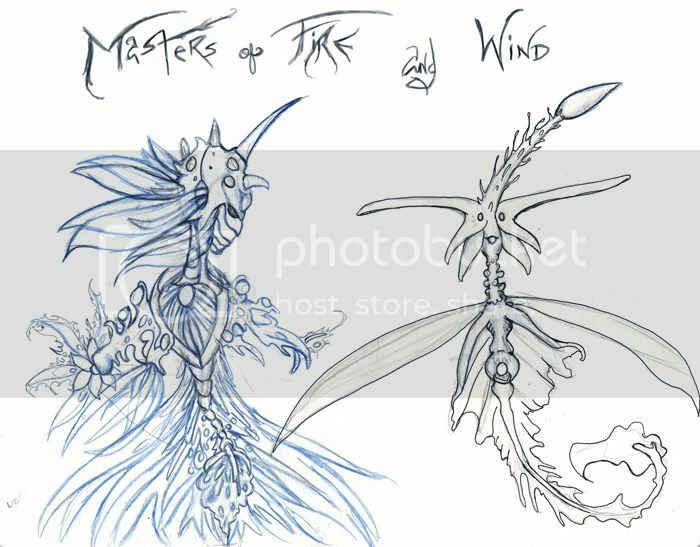 This will be the 4th master for the ship not sure if I should include him or not? 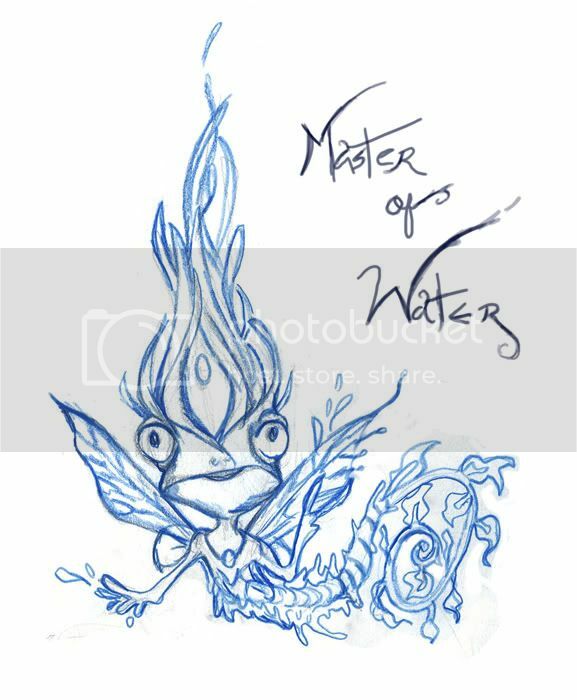 Here They re the other 3 Elements WATER (brother race of the Wind) WIND and FIRE reemember that Earth will be the human children, I will upload the concepts of them tomorrow…Thanks so much for the watch! and the feedback! Hey Axel! Cool sketches. Good luck! Hi Axel, good luck in this challenge. This should be interesting. Wow with so much things landed already I don’t find much to add! I like them a lot, the concept is really solid,and the inclusion of the girl as the earth master makes a lot of sense. I find the simple angle of the picture good, with so much detail to show, you don’t want to mess with crazy shoots, hehehehe… if any you should make your canvas wider so it doesn’t get too crowded. kee it comming Axel, it’s going great!